Disney World opened on October of 1971, 16 years after Disneyland opened in California. Walt Disney died before the opening of Disney World, so he never walked it himself. Roy Disney, Walt’s brother and the business brain behind the Disney Empire, opened the first theme park, the Magic Kingdom, which is very similar to Disneyland’s Magic Kingdom and has been mirrored at other Disney resorts around the world. The four remaining theme parks, Epcot, MGM Studios (now Hollywood Studios), and Animal Kingdom opened in 1982, 1989, and 1998 respectively. Today, Disney World houses 4 theme parks, 2 water parks, 27 themed resorts, nine non-Disney hotels, multiple golf courses, a camping resort, entertainment venues, and shopping centers including Disney Springs, formerly Downtown Disney. 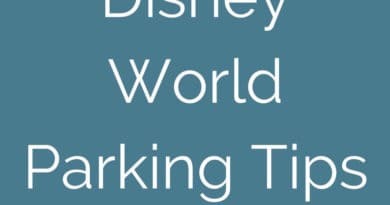 With so many offerings on Disney World property, choosing the best park for your family can be overwhelming, especially if you have a limited amount of time. Ask anyone what their favorite park is and why and you’ll get a million different answers. And that’s because there is no wrong answers to this question. Each park is unique and has its own set of attractions and offerings. It’s all about making the best decision for your party! First, read over the best things to do at Disney World so you’re prepared with an idea of what each park offers. Next I’ll give you a brief overview of each park and help you make the best choice. Magic Kingdom, the most visited theme park in the world, is the original of the Disney World theme parks and was built to be a larger, improved version of Disneyland. It is the heart and soul of the Disney World resort, sitting at the furthest north point on the property. The Magic Kingdom contains classic attractions such as Cinderella’s Carousel, the Mad Tea Party spinning teacups, and Dumbo the Flying Elephant. While a handful of attractions at the Magic Kingdom could be considered thrilling, most of the attractions are great for young children, including toddlers. Peter Pan’s Flight in particular is a big favorite amongst kids and adults alike. Plus, how could you ever pass up It’s a Small World? Children (and adults of course) can meet many of their favorite characters throughout the park including but not limited to Cinderella, Anna and Elsa, Ariel, Tigger, Peter Pan, Mickey Mouse, Donald Duck, Captain Jack Sparrow, Buzz Lightyear, and Rapunzel. Some of the best character dining experiences are located within the parks too. Cinderella’s Royal Table (located inside the Castle), Be Our Guest, and The Crystal Palace are all great options for your little ones. For a full listing of character meet and greets, check out this great source and as always, the official Disney World Ibsite. At night, you can watch a beautiful castle projection show and a fireworks spectacle, each put on every night. It really is an amazing way to end a classic Disney day. If you and your family are looking for an authentic Disney park experience with classic attractions and want to meet your favorite characters, Magic Kingdom is the best Disney park for you and your family. It is also the smallest of the 4 theme parks making it the best park for toddlers and young families who aren’t looking to spend hours upon hours wandering around. 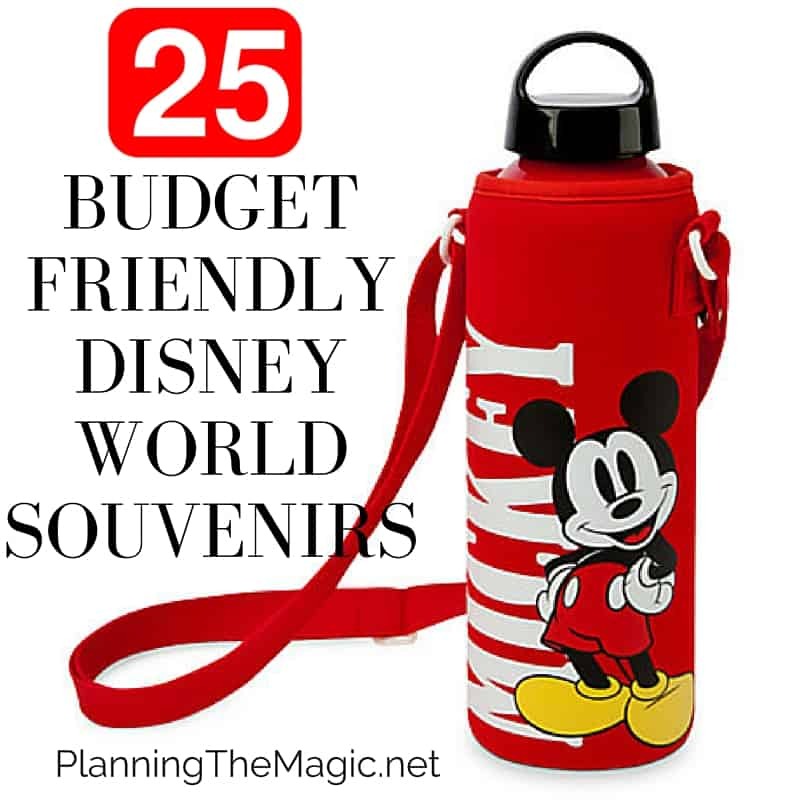 And don’t forget to check out our previous post on how to save money at the Magic Kingdom! Epcot, the 2nd of the 4 Disney World theme parks, opened 12 years to the day after Magic Kingdom on October 1, 1982. The park’s theme and concepts are loosely based off of Walt’s idea to create a utopian style city, titled the Experimental Prototype Community of Tomorrow, or Epcot. While riding the Tomorrowland People Mover in Magic Kingdom, you can actually see a 3D model of Walt’s concept; it’s quite incredible. For anyone who’s a Disney history fan, I highly recommend you check out Walt’s introduction video to his concept for Epcot. Separated into two main parts, Epcot is more than twice the size of Magic Kingdom and is dedicated overall to the celebration of human achievement. The first section upon entry (the main entrance, there is a smaller entrance in towards the back of the park from the Boardwalk/ Epcot resort area) is considered Future World, an interactive exploration of technology and science. The second part of Epcot is the World’s Showcase, featuring 11 countries and their food, cultures, and cuisines. Epcot’s headlining attractions, Spaceship Earth, Soarin’, Test Track, and Mission Space, are all arguably made for a slightly older crowd. It is the general consensus among young kids that Epcot is their least favorite Disney World park (with a few exceptions, of course). It can be hard for young children to understand and appreciate the wonderful qualities of Epcot. 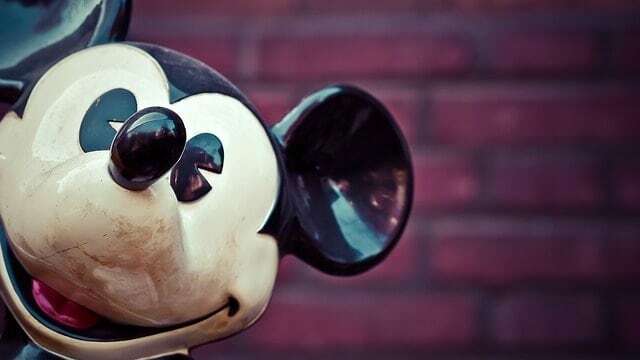 Kids want to experience the attractions and meet their favorite characters whereas adults are typically more willing to take in the educational videos and cultural history that Epcot offers. Adults also have the extra perk of being able to “drink around the world.” Epcot is known for its food and beverage options and it very popular among adults, especially during Epcot’s special events (the Food & Wine Festival and the FloIr & Garden Festival). If your Disney party is skeId slightly older or if you have older kids, Epcot is the best Disney park you! 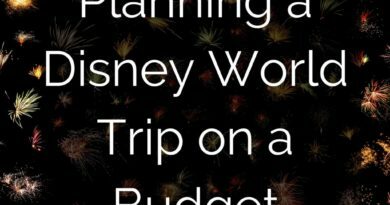 If you are traveling with an adult party, definitely head over to our Adult Tips for Disney World post! The above being said, if you are visiting Epcot with young kids, they can still have a great time. The Imagination! Pavilion, The Seas with Nemo & Friends, Frozen Ever After, and the World Showcase KidCot Stops are all great options for keeping your little ones entertained. There are also great restaurants that will please both kids and adults alike. The pizza at Via Napoli cannot be missed and the Garden Grill actually rotates! What kid won’t be enthralled with a rotating restaurant? Or pizza? Opening on May 1, 1989, Hollywood Studios’ original name was MGM Studios based on a licensing agreement with the MGM Company. The reason for this important relationship was Hollywood Studios was initially created to be both a theme park and a working production studio, just like the studios in Hollywood, California. The park would be dedicated to film, television, music, and theater, while creating its own media. Today it looks quite different. Once its construction phases are complete, Hollywood Studios will be a true dedication to some of the greatest films ever created. Toy Story Land recently opened last summer and Star Wars Land is set to open in summer 2019. Fans of both of these film series will be in heaven when they visit Hollywood Studios. Star Wars Land will feature a full scale Millennium Falcon and a hotel that will give guests the true Jedi living experience. Presently, Star Wars fans can experience Star Tours, a 3D attraction showcasing your favorite characters and scenes from the movies. Plus, guests can meet BB-8, Kylo Ren, and Chewbacca in the Star Wars Launch Bay. Two of the best thrill rides on Disney World property are also located in Hollywood Studios: ToIr of Terror and Rockin’ Roller Coaster. Your best bet for family friendly dining options are 50’s Prime Time Café and the Sci-Fi Dine-in Theater Restaurant. Your family will also love the new quick service location in Toy Story Land: Woody’s Lunch Box. They serve delicious homemade Pop tarts, soups, sandwiches, and even “adult” lemonade. Groups with older children or teenagers, thrill seekers, and film fanatics should head to Hollywood Studios first on their Disney World tour; it is the best Disney park for them. Last but certainly not least, Disney’s Animal Kingdom opened on Earth Day (April 22) in 1998. It is the largest theme park in the world but actually has the smallest amount of people space of all 4 of the Disney World theme parks. The Kilimanjaro Safaris is just that big. The park is the 6th most visited theme park in the world and is dedicated to the natural environment and animal conservation, a cause near and dear to Walt Disney himself. Unlike in the other parks, you won’t find any plastic straws, lids, or balloons. Everything used in the Animal Kingdom is biodegradable. It was recently announced that the other parks will be similarly following suit in the coming years. There is also no nighttime fireworks as the sound would be upsetting to the animals that live there but Rivers of Light, an immersive water and light show, runs every evening. The Animal Kingdom was designed to be an immersive experience which is especially prevalent in the new Pandora section of the park. This area is inspired by the James Cameron film of the same name and features the floating mountains, plants, and wildlife shown in the movie. This new land saw the addition of two new attractions to the park, Avatar Flights of Passage and the Na’Vi River Journey. Originally considered a “half-day” park, the Animal Kingdom saw a 2 million person attendance jump with the opening of Avatar. The opening of this new land plus the addition of the nighttime show previously mentioned, Rivers of Light, has taken this once half-day park and transformed it into a magical experience your entire family will want to spend a full day in. Disney’s Animal Kingdom is a great park option for the entire family. Every one of all ages will fall in love with this park, especially its message of conservation. It offers thrill rides such as Expedition Everest and Dinosaur as Ill as great attractions for kids of all ages including Kilimanjaro Safaris and the Boneyard play area. Kids can meet some of their favorite characters throughout the park such as Rafiki, Russell from Up, Pluto, and Pocahontas. There’s even a petting zoo at Rafiki’s Planet Watch which is great for toddlers and young children. You’d be hard pressed to find a child who doesn’t get excited about seeing animals, especially large ones like elephants and lions. 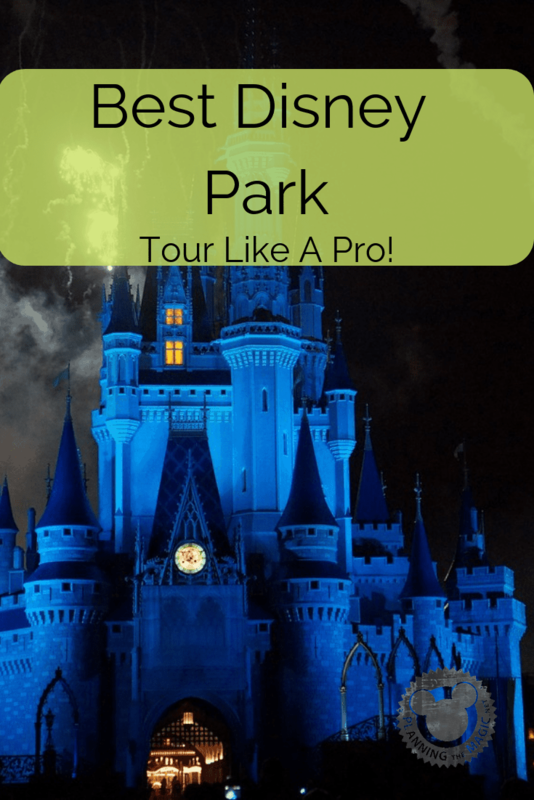 I hope I gave you a great overview of which park would be the best Disney park for your group. I know you have some big decisions to make when choosing where to spend your time in Disney World and I hope that I helped make that decision a little easier. 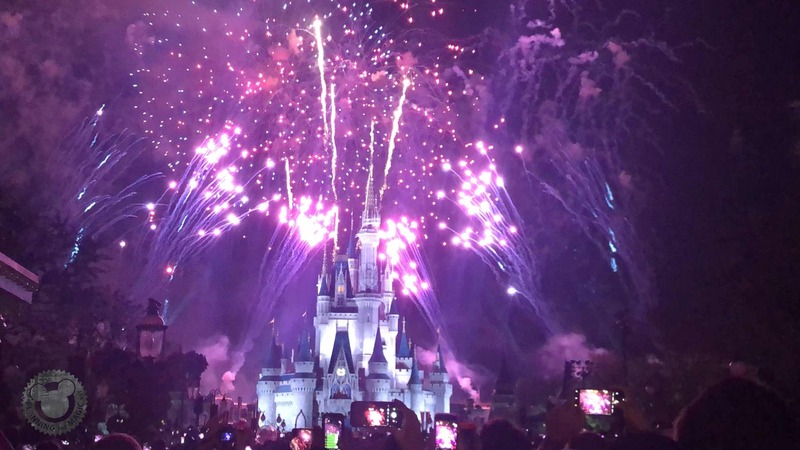 There is no one right way to vacation in Disney World but there is truly something for everyone to fall in love with. What’s your favorite Disney World park? For even more fun, check out our Disney World tips and secrets for fun facts you may have never heard before! The MK is my favorite, but my kids would tell you Epcot is theirs. The one thing we all agree on is that we hate the AK! I am such a Disney noob! I had no idea it housed 4 different parks. I thought it was one giant park. lol!! I’d love to spend some more time at each of these parks. I have the most memories at the Magic Kingdom! I live less than a five hour drive from Disneyland, so I never had the chance to trek across the country and visit Disney World. All of the parks sound like so much fun. It would be hard to pick a favorite! I have been to Disney many times but never to the Animal Kingdom, so I have to go back to see it. Hopefully my kids will be young enough to love it like they did the Magic Kingdom. Can I take you with me the next time I go? WOW! You know your stuff and I could use all the help I can get when I go there! This is a great post. I love how in-depth you were. Disney is a huge park! There is sooo much to see and do there. We plan on doing things we haven’t done at Disney the next time we go. This guide will come in handy, as you have some spots listed that we need to see. I’ve never been to Disney before. I really want to take my daughters though. I think they’d really enjoy it there. You have a really good list here too. I’m determined we are going to make it to Disneyworld next year! I love everything about the park and can’t wait to watch my children enjoy it. Omg you’re going to have so much fun! This is really a great guide!! Thank you so much for sharing! I love all things Disney! I really enjoyed your post on the best Disney parks. My favorite would be Disney World, and second would be the Disney’s Magic Kingdom. These are all places that we’d like to visit next time. Thanks for the useful hacks! Disney park is always on my bucket list. I am planning to visit it this year! I love all Disney Parks! Hard to choose a favorite! Also loved all the tips on your post! I have only been to Disney once. We haven’t even gotten to see all the parks. I am hoping to go to the Animal Kingdom next time. I’ve only been to HK Disneyland but didn’t get a chance to really explore the place. I wish I could visit all the Disney parks! So many places at Disney that I want to visit. I really need to plan a Disney trip for our family.